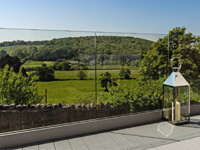 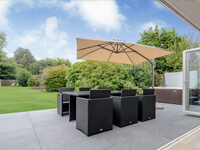 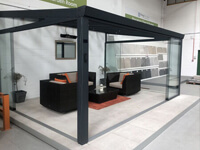 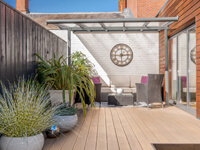 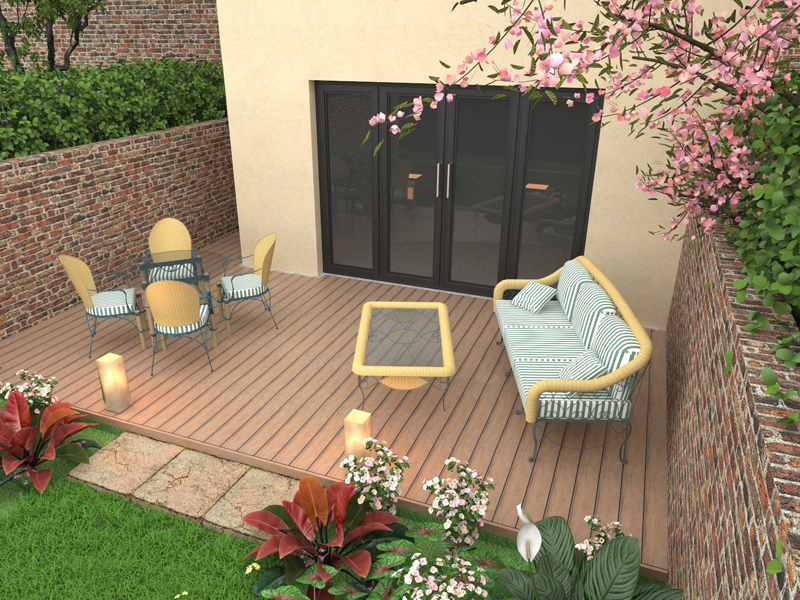 We don’t just sell outdoor living products here at Greensquares – we provide a full garden transformation service, including design advice and a digital representation of what your new outdoor living space will look like. 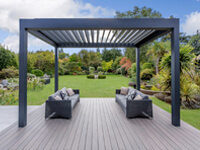 We’ll help you to ensure that your outdoor living space is perfectly tailored to your preferences. 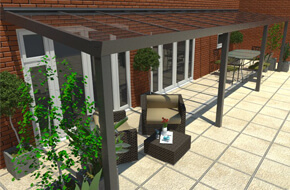 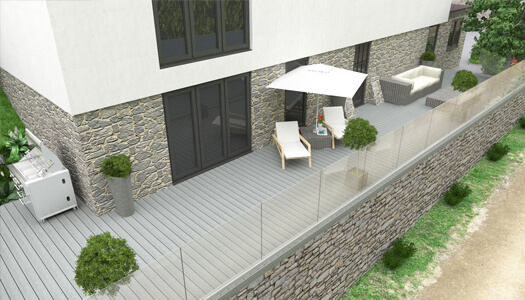 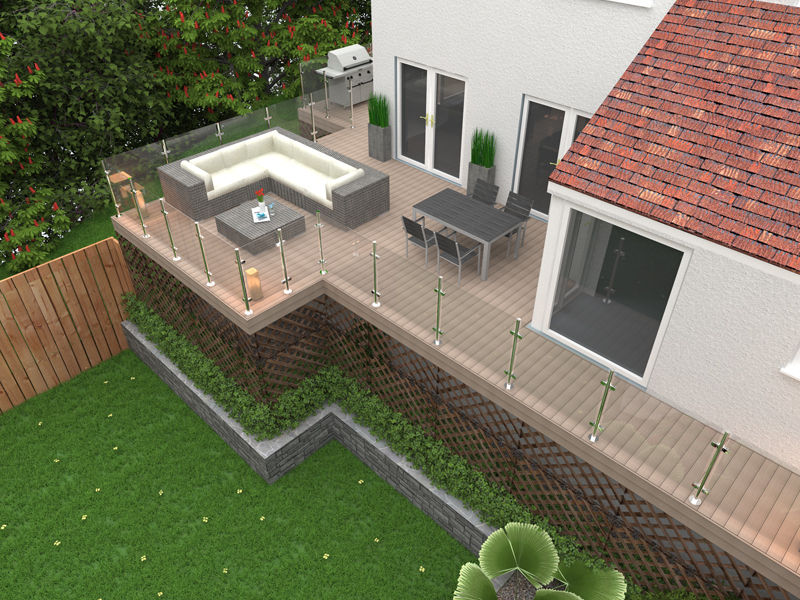 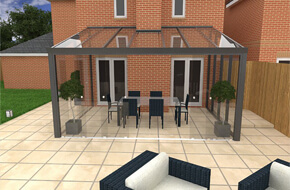 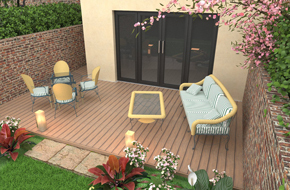 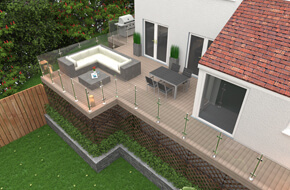 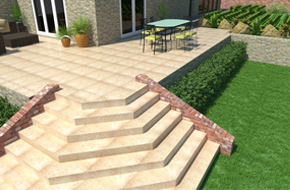 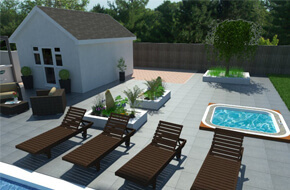 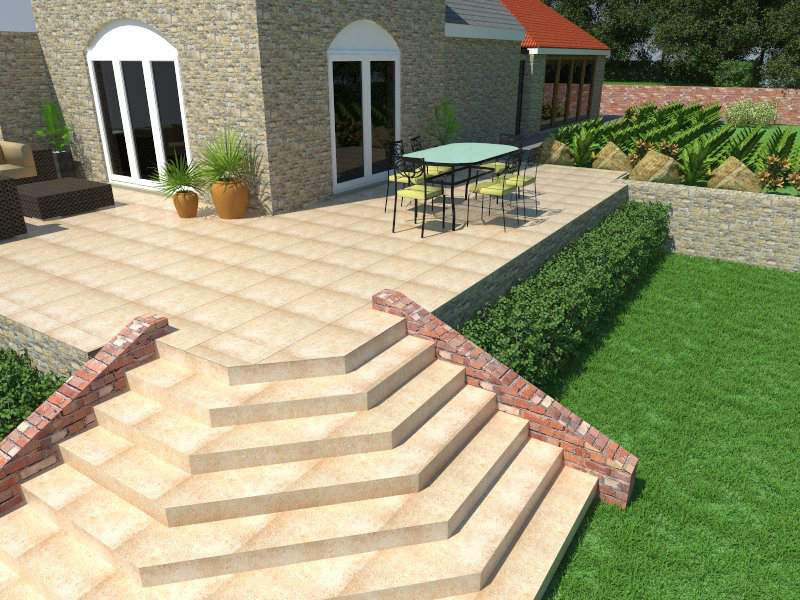 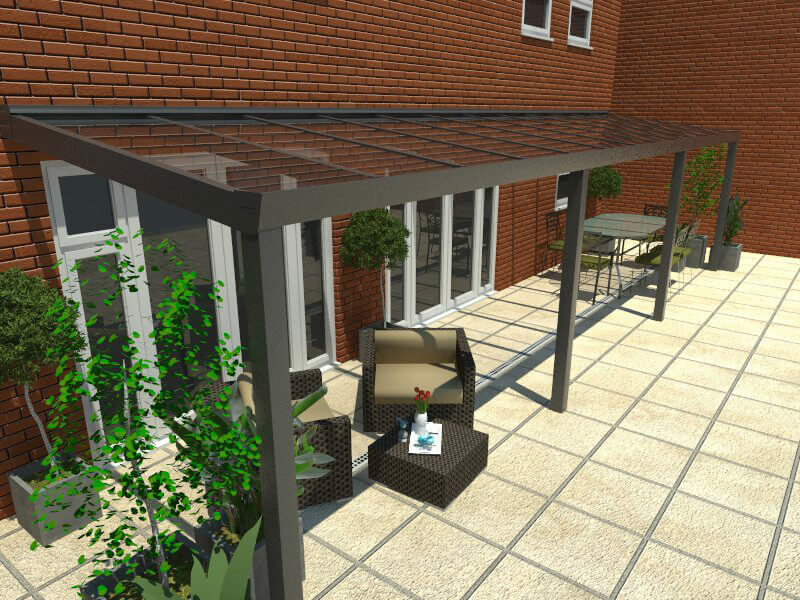 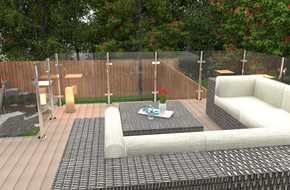 If you need some help visualising what your new and improved outdoor space will look like, Greensquares are pleased to be able to offer a complimentary 3D design service that should give you a very clear idea. 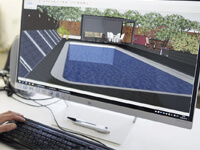 Using computer-aided design, we will create a detailed 3D image of your new space – you can even try different products and colours in order to get the design perfect. 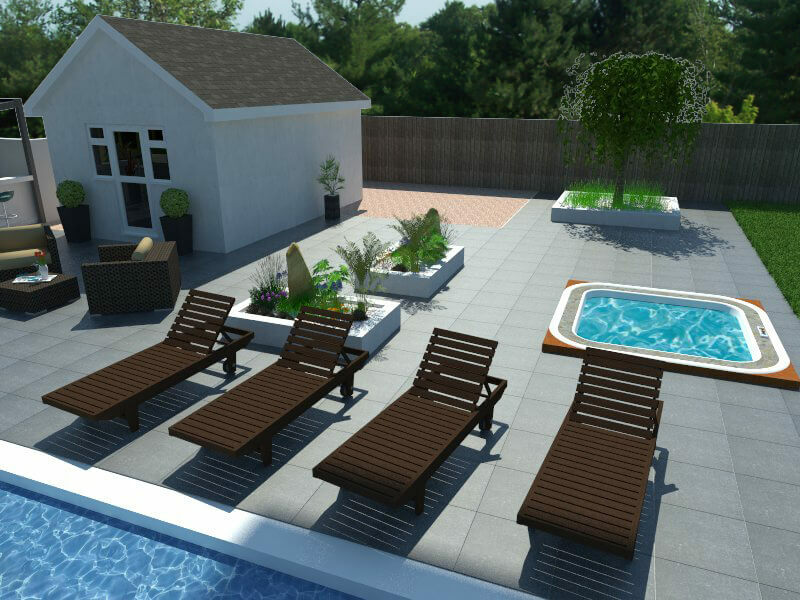 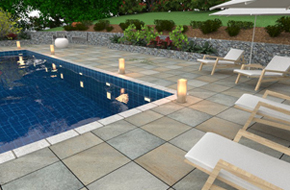 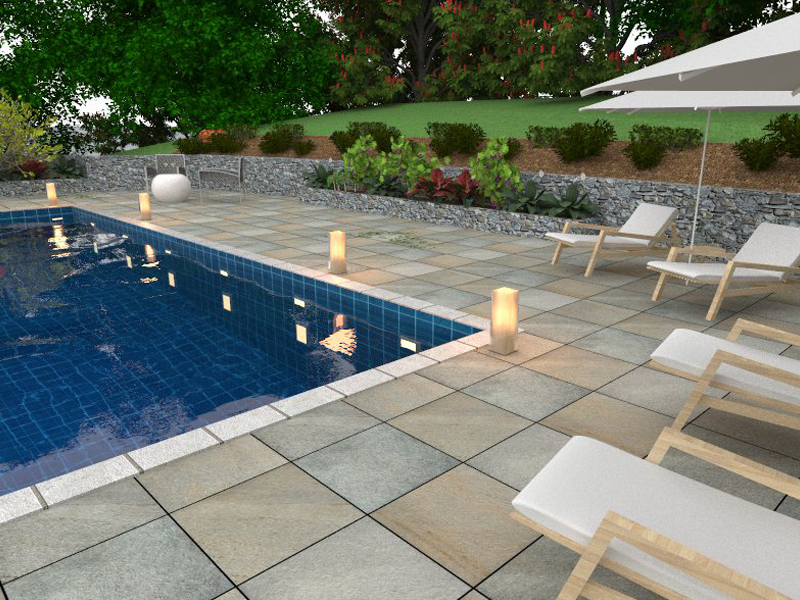 Scroll down to see some examples of the 3D designs that we’ve created for our clients; and when you’re ready to discuss your project give us a call and we’ll setup an appointment to create the 3D rendering of your perfect outdoor space. 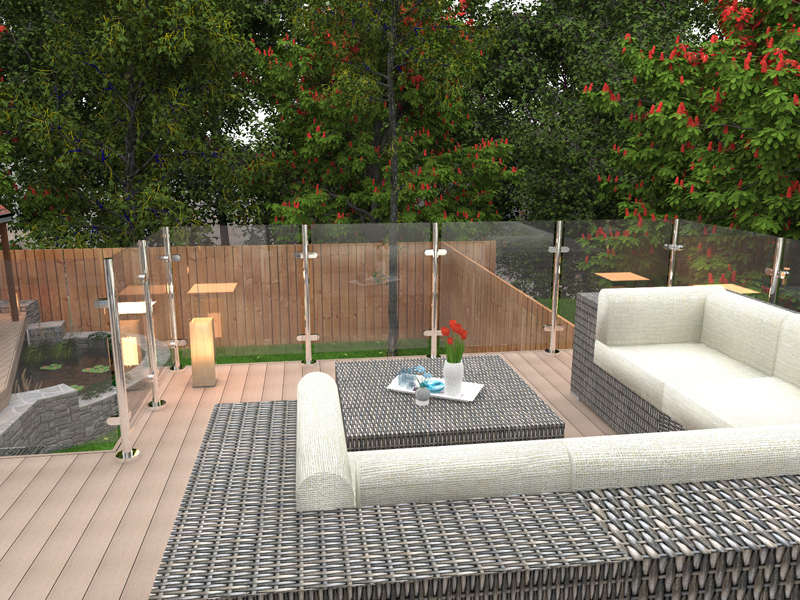 Next, you’ll need to give us some rough measurements of your outdoor space. 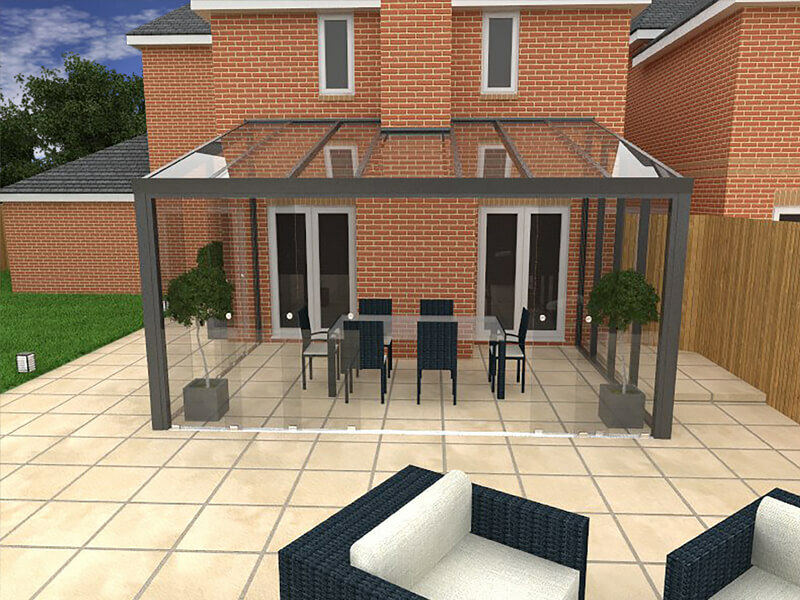 Once we’ve received these, our design experts will work with you to create a more detailed 3D drawings of your desired space. 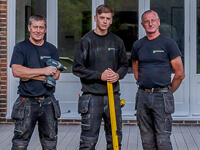 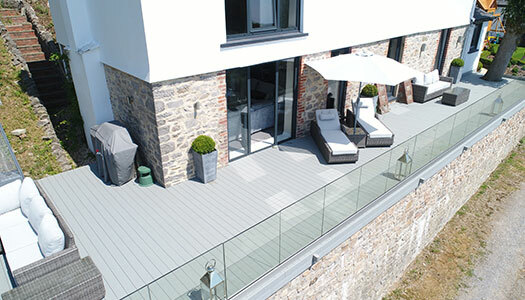 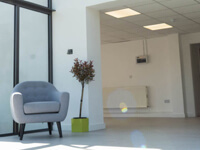 Once you’re happy with your design, we’ll supply you with the products you’ll need to make it a reality – we can even send in our professional installers to take care of the hard work for you!